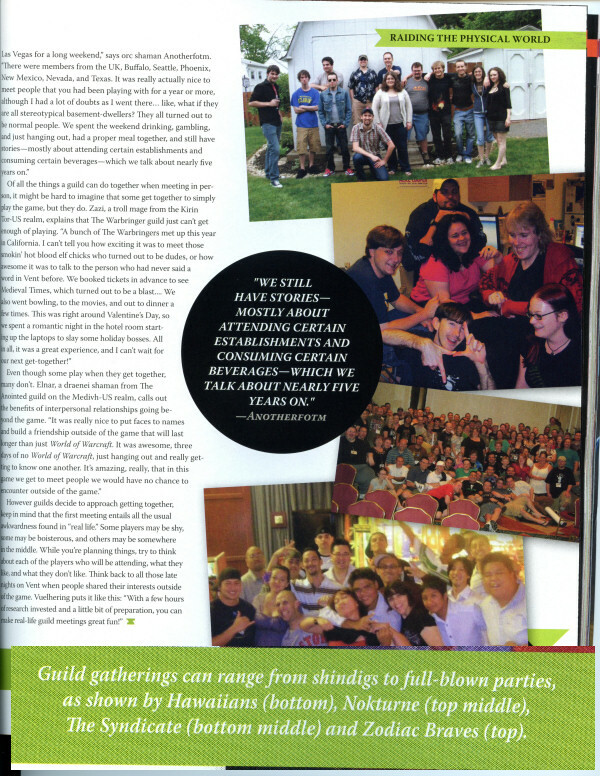 During the summer of 2010, WoW magazine was looking for pictures of real life guild gatherings for an article. We knew our events dwarf the size of any other guild event out there so we submitted a picture from SyndCon 2009 (Austin) to the magazine. The 2010 SyndCon pic would have been even larger but that event had not happened yet. Low and behold the picture made the article when the magazine came out in October 2010. You can see it below. The green part at the bottom we enlarged so you could read the caption.